2008 promises to be another big year in technology. Apple's 3G iPhones are set to do battle with Google's Android phones, Google looks to take on Facebook on multiple fronts, and a whole bunch of secret (and not so secret) Google projects look set for release. On a personal note 2008 is shaping up to be pretty massive too. I'm getting married in January and I've just started writing a new book (more on that later). I've also decided to tweak the emphasis of The Radioactive Yak. I'm going to leave the comprehensive Google coverage to Philipp and Tony at Blogoscoped, and the up-to-the-second Google-code-hacking to Ionut at the Google Operating System. 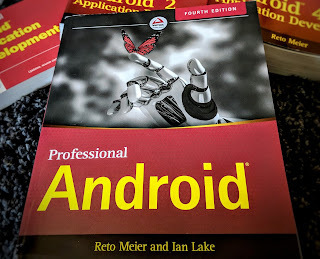 I'll be looking more closely at Google's programming offerings - particularly Android - so expect to see more tutorial posts like How To Program Google Android and Google Mashup Editor. I'll continue to write speculative posts like Google TV and Google World, as well as more detailed analysis of announced services like Android and Knols. I'll also continue my series on the Google Office and I'll announce the projects I'm working on like Earthquake!, Hit For Six, and what I promise will be an increasingly large collection of Android applications. Along with content changes I've given the template a fresh new look. I hope you like it and continue to visit and read in 2008!